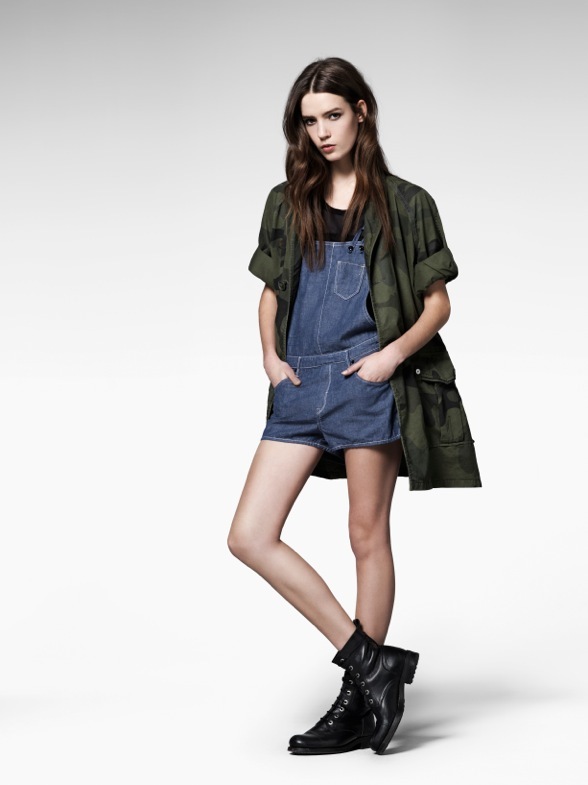 A must have for every lady this summer is pieces from the 2013 G-Star Summer Collection. The Swag Craze team recently attended the G-Star RAW Summer launch in Sandton City and loved what they have on offer. 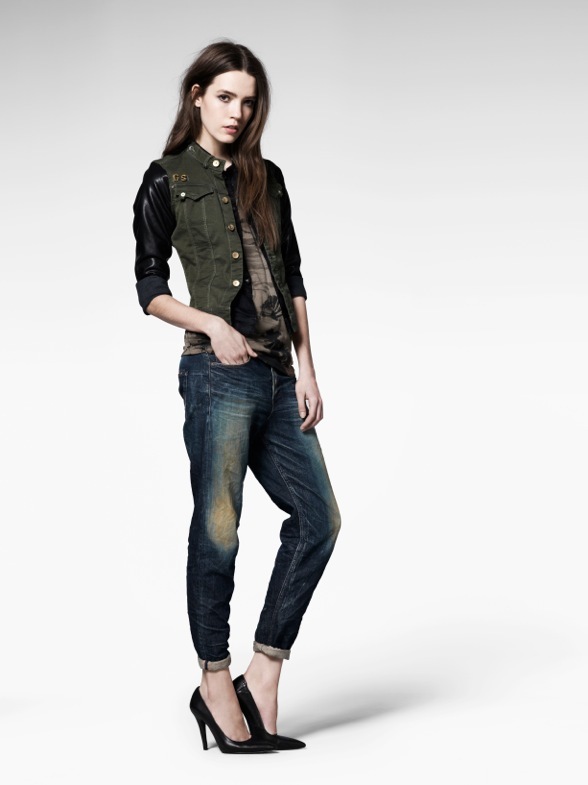 G-Star continues the 3D evolution and introduces two new denims for women, the Type C pant and A-Crotch. The Type C features a 3D bowleg silhouette and an extremely loose top block with a low crotch construction, the kick cropped further articulates the 3D look. G-Star also introduces the A-Crotch for women; the original A-Crotch for men was introduced in 2000. The panel inserted on the inside of the leg creates a 3D silhouette, which is further articulated by the horizontal seam (a dart) on the inside leg panel. The A-Crotch also features distinct details including the exaggerated pockets, and the A-shaped artwork on the back pockets. G-Star introduces the next step in skinny jeans for women: the 3301 Jeg skinny. A denim jegging executed in ultimatestretch fabric with a waist 6cm smaller than a normal skinny fit. Thanks to the waistband, which is also executed in this fabric, this denim fits perfectly in the waist. Not only does the denim provide the optimal stretch percentage, it also features a very high recovery, which means it returns to its original shape. Thanks to the combination of a special weave and an intelligent fabric mix ultimatestretch denim gives the wearer a second-skin feel and maximises freedom of movement and fit. This season G-Star introduces Red Listing denim for women with the 3301 Tapered in Comfort Vine denim. In accordance with authentic jean making, the Red Listing denims feature selvedge on the inside of the fly and coin pocket. The Red Listing fabric is especially designed for women with a soft hand-feel and a small percentage of stretch. The authentic slub character stands out due to the medium compact 3x1 right hand twill of this deep, red-cast indigo shade that washes down beautifully. The 3301 Tapered comes in a medium and light aged washing. Originator of 3D denim with the G-Star Elwood and Arc pant, G-Star now applies the same techniques to denim jackets. The 3D sleeves - designed using innovative paper patterns - allow for greater freedom of movement, due to the intelligent sleeve construction. The process of creating destroyed denim is an art by itself. Finished by hand, it takes expertise to make denim look and feel natural, old and authentic. Every G-Star denim is made with an eye for craftsmanship to create a premium Destroy finish that makes every pant unique. The women range includes a wide range of destroyed denims, from the Type C pant to the A-Crotch.